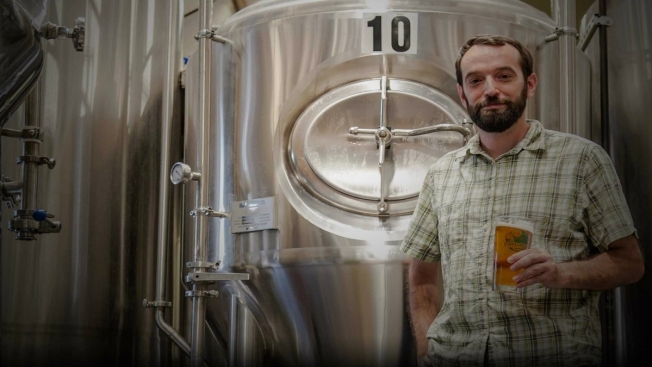 Another Vermont-based brewing company is bringing its beers to Massachusetts. According to an Facebook events page from the business, Fiddlehead Brewing has expanded its distribution to the state, with a ceremonial tapping of Fiddlehead IPA taking place later today at Eastern Standard Kitchen & Drinks in Boston's Kenmore Square. Another Facebook post from the company says "After 5 exciting years of building our brand locally here in Vermont, we are excited to announce that this week, we will begin full-time draft distribution to Massachusetts....We hope to have a full list of current Boston area draft accounts soon, but until then, check with your favorite local spots to see if we're there!" One other spot mentioned as having Fiddlehead is the Tip Tap Room in Boston's Beacon Hill while Stoked Pizza in Brookline tweets that they will have it as well. Fiddlehead Brewing, which is headquartered in Shelburne, joins another Vermont brewer that recently expanded to Massachusetts--Warren-based Lawson's Finest Liquids--though Lawson's Sip of Sunshine and Super Session #2 are produced at Two Roads Brewing in Stratford, CT. Fiddlehead produces a number of beers in addition to its flagship IPA; as soon as we find out what other beers the company might be bringing to the state, we will post an update here.